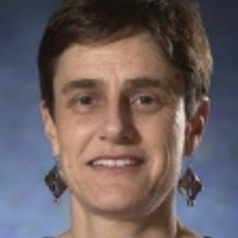 Dr Renata Alexander has been a permanent senior lecturer with the law faculty since 2000 teaching the Family Law and Practice as well as the Ethics and Negotiation components of the PDLP course. Prior to that she taught undergraduate family law on a sessional basis. Renata has always been a legal practitioner since admission to the Supreme Court in April 1979. She worked as an in-house family lawyer/solicitor with Victoria Legal Aid from before working as the Deputy Registrar for the Family Court of Australia. Renata then went to the Victorian Bar in November 2002 where she practices on a part-time basis given her teaching and academic commitments. In 2003, Renata received a Centenary Medal from the Prime Minister for her work in voluntary legal services as she has been a voluntary lawyer with community legal centres since 1975. Furthermore, Renata has also won a PILCH award for similar services.